Llewellyn Jobs isn’t convinced. History, and the actual words written in the 104-page Sixties Scoop Settlement Agreement negotiated with the federal government, are more powerful than any assurances his lawyer could offer him. The agreement offers compensation for “loss of cultural identity” for First Nations and Inuit children taken into care between 1951 and 1991 and placed with non-Indigenous parents. Those who have signed on have “fully and forever released Canada” from further legal action on the Sixties Scoop. The settlement doesn’t, however, stop those who get benefits from the federal agreement from taking action “against any third party” for what that third party is directly responsible for. But Jobs wants to know what that means for the territories. After all, he says, the Northwest Territories and the Yukon didn’t have their own government until the mid- to late 1970s, and Nunavut wasn’t created until 1999. Tony Merchant of Merchant Law, one of four law firms representing survivors in the settlement, says this was an issue he raised at the hearing. “The government formally indicated to the court that, if necessary, they would give a commitment that people could recover for wrongs from the territorial governments which, in essence, is recovery from the government of Canada,” said Merchant. “I believe the language is satisfactory, but out of an abundance of caution, I got the government of Canada to make a commitment on the record, which they did, because the government of Canada had no intention of attempting to take advantage through language,” he said. While Merchant says there is further recourse for those taken from their homes in the territories, he says it’s unclear what may unfold in Alberta and British Columbia. In Alberta, the Child Welfare Class Action settlement encompasses those who were subject to a permanent wardship or guardianship order by Alberta Child Welfare between July 1, 1966, and February 19, 2008, or a temporary guardianship order between July 1, 1985 and February 19, 2008. Compensation, with claims to be made by January 2017, came through the Victims of Crime program. While the settlement isn’t specific to First Nations or Inuit caught under the Sixties Scoop, they were eligible to apply for compensation. “It depends on whether the Alberta government … raises that as a defence. Because this settlement … was it intended that Sixties Scoop survivors and others in similar circumstances would lose their rights as Indigenous people on a settlement that wasn’t really focused on Indigenous people? It wasn’t so intended, but it might be argued to be that. 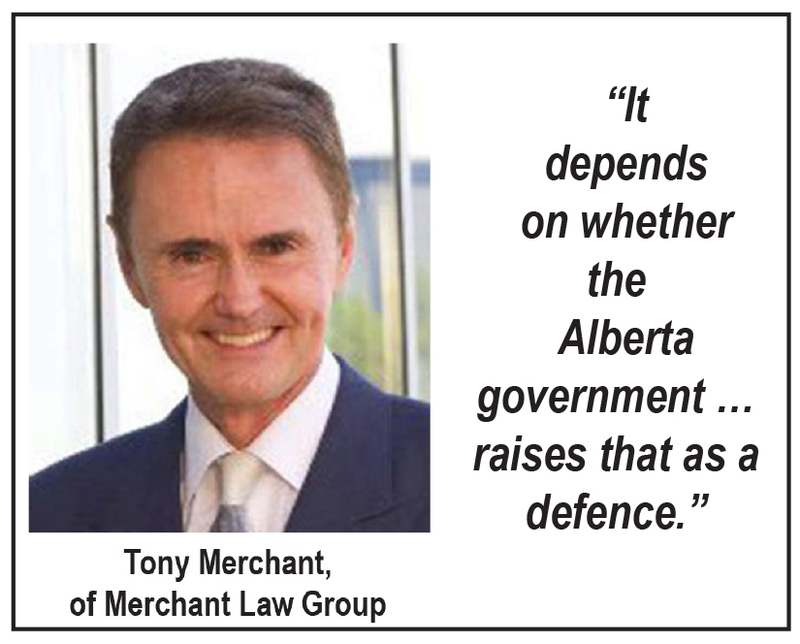 And they might win that argument in the Alberta court,” said Merchant. In B.C. there was no legal recourse to sue the government prior to 1974. “I don’t know the answer in British Columbia. I believe we can recover, but I don’t know the answers,” said Merchant. Jobs is concerned that neither he nor other survivors were told there may be issues in pursing further legal recourse in Alberta and B.C., and he still has concerns with the territories. He discovered these potential limitations through his own research and not until after the Oct. 31, 2018, opt out date for the settlement. And, he points out, he is signed up with Merchant Law. Merchant says there was no need to inform survivors of what could happen in other provinces as the agreement was with the federal government. “If they lost rights prior to the Sixties Scoop settlement then the Sixties Scoop settlement doesn’t have any effect on them. This settlement … isn’t a settlement that has anything to do with the provincial governments,” he said. The Sixties Scoop Settlement Agreement sees those eligible for compensation receiving from $25,000 to a maximum of $50,000, depending on the number of people submitting claims. Merchant says the number of those registered is between 3,000 and 4,000, but not all may meet the criteria. He notes others who meet the criteria may not yet have registered. The deadline for registration is Aug. 30, 2019. Payments aren’t expected to be made until spring of 2020. Merchant believes two people opted out of the agreement. ‘I’m sorry for those two because they obviously were sort of ill-advised. Not that it would have been ill-advised for a lot of people to opt out if there had been some lawyer prepared to do something about it. But two or five or 50 would just be in a hopeless circumstance,” he said. Merchant notes his law firm began action in 2009. Survivors will be consulted to determine the mandate and governance of the foundation.